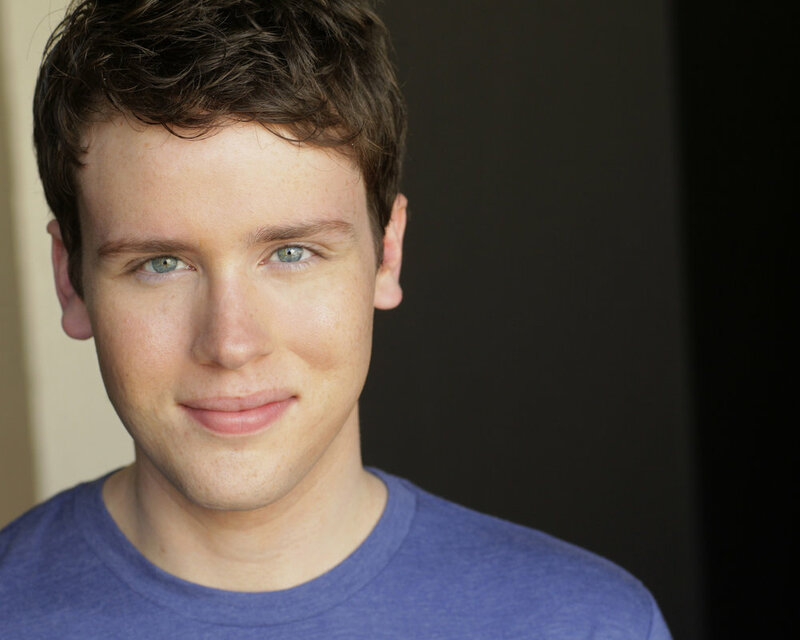 Grey Henson has had his fair share of break out roles, not least of which includes playing Elder McKinley in both the Broadway and U.S. national touring productions of The Book of Mormon. In Mean Girls the musical, Grey takes on another iconic role—that of Damian Leigh, one-half of the eccentric and dynamic duo that welcomes inexperienced student, Cady Heron, to North Shore High School. In taking on the role of Damian, Grey has been tasked with breathing new life into a character and a script that gained worldwide recognition in the 2004 movie by the same name. Read ahead to learn more about the process of taking a story from screen to stage, building chemistry with the cast, and the work that goes on backstage to support and sustain a career on Broadway. How did you get your start in the arts and what inspired you to pursue theatre as a career? I started in ballet class at 3 and I did my first play at 4. I was lucky enough to have parents who encouraged my love for performing. It’s all I ever wanted to do. In college, what prepared you the most for a career in professional theatre? Nothing really prepares you for 8 shows a week, but college taught me how to keep a show fresh during a long run. At the end of the day you’re just listening and responding. Whether it’s your first performance or your 300th. How did you find an agent/management team, and what is your relationship with them like? I was lucky enough to find an agent in my senior year before I went out on tour. It’s important to be very honest with your managers/agents. They’re representing you out in the world so you want to be on the same page. What kinds of resources have you used as an actor to find jobs and build a career? Work begets other work. I always try to do my best work and be my best self every day. Show up prepared and be easy to work with. People remember everything. Especially casting directors and creative teams. What was the difference between playing Elder McKinley in the Book of Mormon national tour and the Broadway production? The biggest difference was living in New York! It felt more like a job on Broadway because I had a life outside of the theatre— something you don’t really get on tour because you’re living in a new hotel in a new city every week. Tour felt like one never-ending theatre summer camp. Which was amazing and exhausting. Did you ever have any doubts or thoughts of giving up during you career? Of course! Every actor has doubts. Once you finish a show you’re unemployed just like everyone else. That’s why you have to be happy and secure in your outside life. Your happiness doesn’t only exist on the other side of that next job. If you had any choice in the world, who would be your collaboration dream team (living or dead)? What kind of project would you work on? I’d love to work with Tina Fey on a play. I know we literally JUST worked together, but . . . it’s Tina Fey and I love everything she has to say. Can you describe the creative process for developing a new musical? It’s a long process, and so much happens before actors get involved. A creative team can spend years developing a new musical. Eventually they’ll do a reading, or a workshop/lab, where they get to see the material on its feet for the first time. Most musicals choose to do an out of town tryout before they open on Broadway. Another chance to work out any kinks before it’s open and set forever. We were lucky with Mean Girls, because even though the show is based on a popular movie the creative team really allowed us to make these characters our own— writing specially for us. It felt like a collaboration in that way. What is like developing a character for a new musical when previous versions of the production exist, like the original Mean Girls movie? It was challenging! I stopped watching the movie once I was cast. I didn’t want to do an impression of Daniel Franzese (who played Damian in the movie). Also, our show is set in current day, so I was excited to show how Damian was even MORE confident as an openly gay teen in 2018 vs 2004 (when the movie came out). At the end of the day, no two actors are going to portray the same character the exact same way. You might as well make it your own. How has Mean Girls the musical evolved throughout the development process? How have your characters changed? The biggest change for me was the addition of the tap number “Stop” at the top of Act 2 which was added in after the DC tryout. It really helped in the development of Damian and Janis’s friendship with Cady. Specifically how all of that was changing as she was becoming more plastic. You and the rest of the cast seem very close. Does that warm environment typically develop naturally, or did you work to create it? Have you experienced less welcoming work environments in the past? If so, how have you dealt with them? It just happened naturally! It’s a young cast with a ton of Broadway debuts. Everyone is so happy to be here. I find most actors to be super warm, welcoming people, but sure, I’ve dealt with negativity before. You just can’t give it any fuel. Stay in your lane. Be the person you would want to spend your time with. 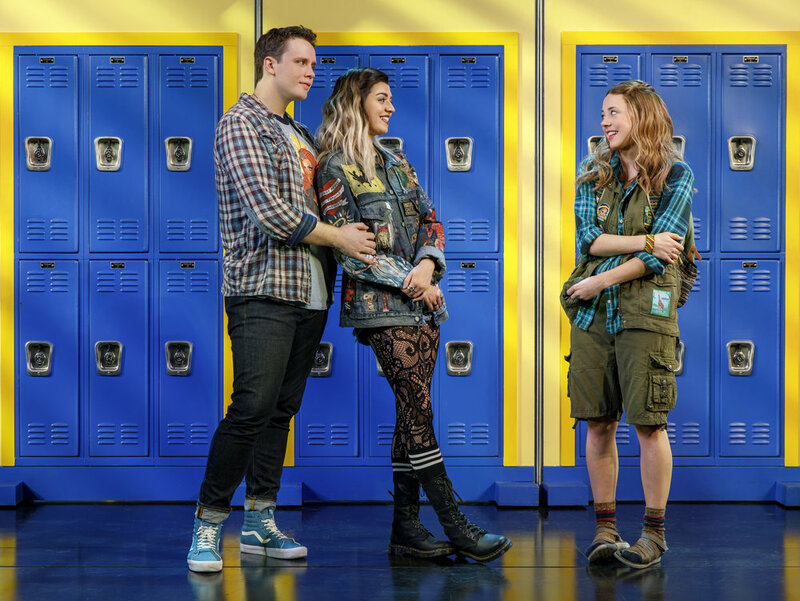 How did you and Barrett Wilbert Weed [who plays Janis Ian] in particular develop such great on-stage chemistry? We genuinely try to have fun every night on stage. I find it easy to have chemistry with someone when you feel comfortable with them. Barrett and I created these roles together so we trust each other. How do you get ready for each show and how do you keep your stamina up for eight shows a week? I do a vocal warm-up. I listen to music. I catch up with my dressing roommate, Kyle Selig [who plays Aaron Samuels]. Doing 8 shows a week is tough, but you’ve got to take it one day at a time. I try to get tons of sleep and drink tons of water. What has been the most unexpected thing you've learned as an artist from the experience of bringing Mean Girls to Broadway? The preview process taught me a lot. You have to keep up with the constant changes, and then perform them every night for a paying audience. I learned how to adapt quickly and not get attached to anything I loved. It was the hardest and most exciting part of the process. What's the most significant thing you've learned from working with the amazing Mean Girls creative team (Tina Fey, Casey Nicholaw, Jeff Richmond and Nell Benjamin)? Tina introduced us to ‘The Four Agreements’ on the first day of rehearsals. They’re pretty self-explanatory: 1. Be impeccable with your word. 2. Don’t take anything personally. 3. Don’t make assumptions. 4. Always do your best. What was it like attending and performing at the Tony Awards with the Mean Girls cast? Tony Day was the craziest day of my life! I wanted to soak it in and enjoy myself, but it was one big amazing blur. The best part was getting to perform. Our director, Casey Nicholaw, put every single cast member in the performance. It was terrifying and special. Which artists (living or dead, and in any discipline) inspire you? David Sedaris. He’s brutally honest and funny AF. What's the most difficult thing about being an artist? What's the most rewarding? Most difficult— not knowing what your next job will be. Currently the most difficult part is doing 8 shows a week. Staying healthy. Most rewarding— Getting to do what I love for a living. Connecting with fans. What's a piece of inspirational advice that you would give to other artists starting out in the business? What's a piece of practical advice that you would give? Own and capitalize on your uniqueness. Once you start owning what makes you different or ‘weird’ you’ll start finding work. Or it will start finding you. Nurture OTHER hobbies. They’ll keep you sane. Paint. Play a sport. Your life shouldn’t just be acting. Having other interests makes you a better actor. Follow Grey on Instagram and Twitter for more behind-the-scenes peeks at life backstage and on stage. And stay tuned for our next Mean Girls feature with Barrett Wilbert Weed, who plays the role of rebel and rule-breaker Janis Ian!